Eating at home can save you money and make it a lot easier to stick to a healthy diet. With a few cooking classes under your belt, you may find the dishes you make yourself are just as delicious as what you order at your favorite restaurant. 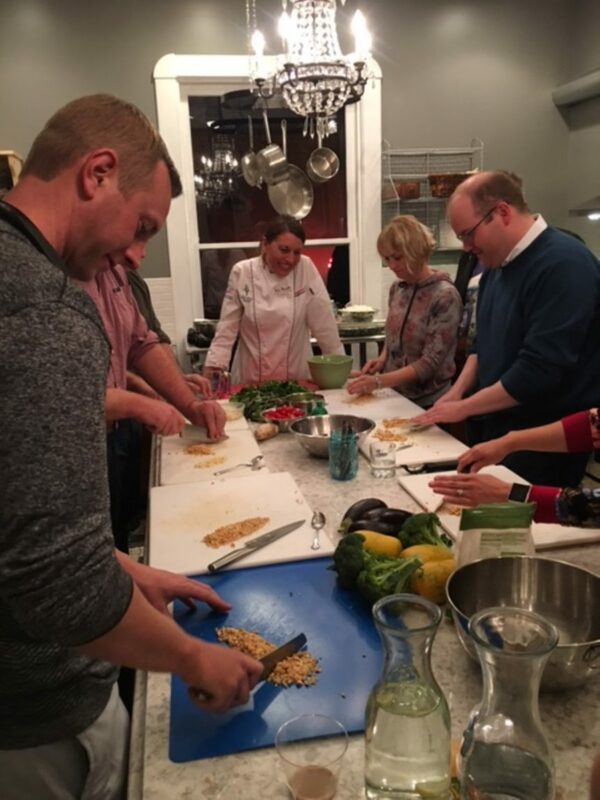 Here are 5 of our favorite cooking classes in the Indianapolis area. You’ll find chefs from The Art Institute of Indianapolis and many of the finest local restaurants teaching at this combination B&B and cooking school. Prices start at $75 and popular topics include Couples Cooking, Knife Skills, and Soups for a Cold Winter Night. Think Japanese cooking is too difficult and expensive for you? Think again. You’ll learn how to make healthy Japanese food at home with courses like Intro to Sushi and Potstickers. They recently added Ramen Workshops too. Prices start at $65. Let expert pastry chefs demystify this famous French cookie. There are classes for all ages and skill levels. If you’re still hesitant to try baking your own, you may want to start with the pairing evenings where you can concentrate on what to drink with your macaron. Prices start at $40. If you’re the socially responsible and eco-friendly type, head to this oasis of vibrant, healing food and wisdom. Monthly classes are $35 and explore various topics related to how food can help prevent disease and promote physical and mental wellbeing. What about the children? Chefs from 3 to 13 can practice basic culinary skills in a kid-size kitchen at Sprouts. For more fun, take a look at their summer camp and birthday packages. Prices start at $49.Local cooking classes are a great way to get ready to enjoy fine dining at home. You’ll also need to keep your oven, dishwasher, and other home appliances in top shape. Contact us at Jerry’s Appliance Repair for thorough and efficient service in central and southern Indiana.